Everyone needs a place to hang his collar, even if it’s just for a little while! We offer a safe, comfortable, affordable environment for animals that, for whatever reason, must be away from their human companions from time to time. 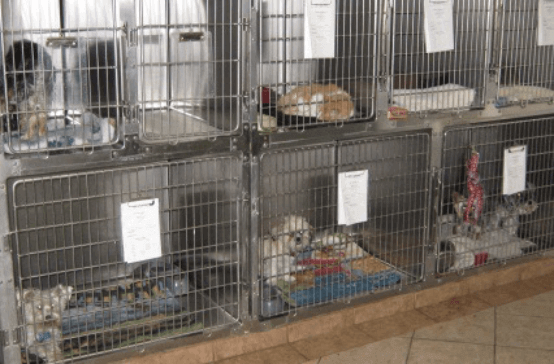 Dogs, cats and pocket pets are kenneled in a climate controlled area. Our kennels allow visual contact with our staff throughout the day. As time permits, our staff will interact with your pets. 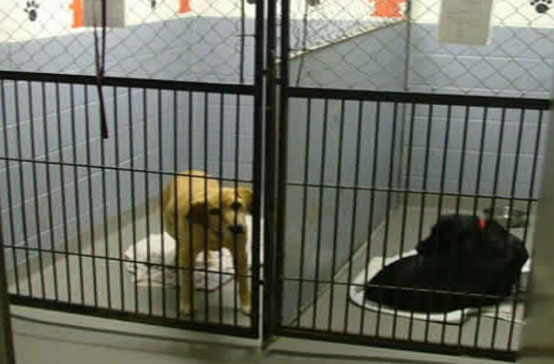 Our boarded pets are not locked away in a separate room. Dogs are walked three times a day in our exercise yard. Horses and cattle can be boarded on a limited short-term basis. Checking In and Checking Out. Pets may be admitted and released from our boarding facilities during our regular business hours, which are Monday thru Friday 7:30 am to 6:00 pm and Saturdays 8:00 am to Noon. We are closed on Sundays. Boarding Rates. Give us a call at (208) 356-4271 for current rates. We have separate rates according to kennel size. We do offer day boarding. We can give medications to your pet, when needed while they are staying with us, for an extra fee. If we feed the food you provide we will discount your boarding fee. Food. We feed Science Diet Adult food to our boarding pets. If your pet has special dietary needs or if you prefer to have us feed your own food, our staff will do so. Please provide our staff with the food and specific written instructions. Grooming while Boarding. We offer discounted grooming while your pet is here boarding. We try to schedule the grooming so your pet can go home fresh and refreshed at the end of his/her stay. Please ask us about this service if you are interested so that we can get your pet scheduled to visit our “pet beauty parlor” while they are staying with us. Vaccinations. For the safety of your pet and our staff, we require proof of vaccinations by a veterinarian. Acceptable proof of vaccines includes faxed medical records, invoices, or signed vaccine certificates. We also accept phone confirmation direct from the veterinary clinic where the pet was vaccinated. If you do not have current vaccine information for your pet, we can give the immunizations for you while they are here. Dogs: Must be current on Parvovirus, Distemper, Advenovirus Type 2, Parainfluenza, and Leptospira (DA2PLP), Rabies, and Bordetella (Kennel Cough). Cats: Must be current on Distemper, Calcivirus, Rhinotracheitis, Leukemia, and Rabies. Other Pets and Livestock: Please call and get current information for your pet. Reservations. We do require you to call and set up a boarding reservation. You can reach us at (208) 356-4271. We board on a limited basis. Holiday reservations fill early. The holidays our business is closed include President’s Day, Memorial Day, Independence Day (July 4), Labor Day, and the half days before and including Thanksgiving Day, Christmas Day and New Year’s Day. For some holidays we do have a waiting list in case of cancellations. Here at Upper Valley Veterinary Clinic we are happy to provide a home away from home for your pet when needed. Our “pet hotel” is a great place to stay! Call us if you need additional information.